A good portion of Nick Evans' quality of life leading up to last summer was nothing short of a struggle - a battle to get a full breath. Thin and lethargic, Evans' condition became worse as the severity of cystic fibrosis ravaged his lungs and depleted the proper functioning of his organs. But thanks to a double-lung transplant, Evans is on the path to better health again. Cystic fibrosis is described as the most common fatal genetic disease affecting Canadian children and young adults. The disease, for which there is no cure, impacts the digestive system and lungs and complications ultimately lead to death for most who have it. In some cases, such as with Evans, a double-lung transplant is the only viable option to regain health. The operation doesn't cure him of cystic fibrosis as Evans still has to manage the digestive, nutrient-absorbing challenges that are part of the disease. The big day happened in July 2018 in Toronto - where the specialized surgery takes place - when Evans received a new set of lungs following a seven-and-a-half hour procedure. His breathing and endurance has made great strides since the operation. He's put on some much-needed weight. He'll be on anti-rejection medication for the rest of his life. "My health is a lot better," said Evans, 30, who's now contemplating a return to university to finish his accounting degree. "I don't get tired anymore. I have so much energy." 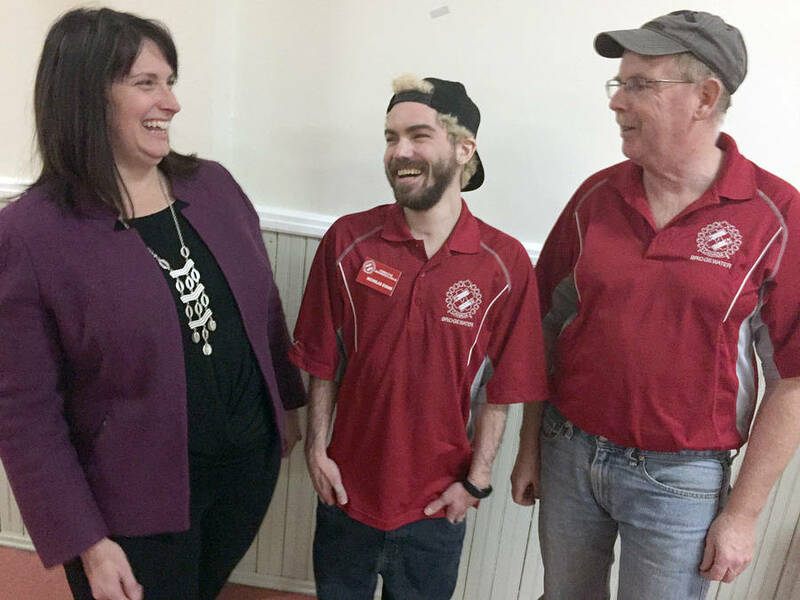 Evans joined the Bridgewater and Area Kinsmen Club three years ago after the non-profit service organization gave him some financial support. Evans told LighthouseNOW there was a time he didn't realize how significant a partner Kinsmen and Kin Canada is in the fight to find a cure for cystic fibrosis. Once he made the connection, he joined the local group. Kinsmen have helped toward funding research, advocacy and clinical care, said Lisa Weatherhead, regional executive director for Cystic Fibrosis Canada. Many years ago a child with cystic fibrosis wouldn't make it to Kindergarten. Now, the estimated median age of survival for a child born with the disease in 2017 is 53 years of age. This year marks the 55th year of partnership between Kin and Cystic Fibrosis Canada. "What you do fills a gap in our community that simply couldn't be accomplished without you as volunteers and supporters." Weatherhead added. Weatherhead said Canada is known around the world for its work in cystic fibrosis research, which makes a big difference, she said, in terms of different types of treatment and new medications. Over 4,000 people in Canada have the disease and an estimated 200 of those live in Nova Scotia. To learn more about cystic fibrosis, log on to www.cysticfibrosis.ca on the internet.